Hypnosis is a powerful tool that allows us to break past the limiting beliefs and feelings that hold us back from the dreams and goals we have for our life. - In essence, it is a way to easily remove the obstacles in our life that keep us from realizing our true potential and happiness. Hypnotherapy is one of those things that is greatly misunderstood. For the most part when people hear the word they get images of stage performers or far-fetched movie scenes of mind control. Despite how wild and mystical the entertainment world has tried to make it, hypnotherapy has still held its ground as a powerful and transformational healing tool. Hypnotherapy to Achieve Your Goals! Unlock your inner joy and start living your true life's dream! Hypnosis is a natural state of mind, one that we actually move in and out of throughout our normal day. It is a deeply relaxing state of mind in which we are able to tap into the power of our subconscious and super conscious mind in order to shift and change and create the things we dream of in our life. If we have a strong enough emotional desire for the change in our life, then hypnosis easily gives us the tools to empower the mind for change. But it is important to understand, if we do not really want the change to happen….then it won't. 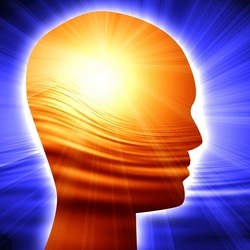 Hypnosis is a way for us to enter into our subconscious mind and communicate directly with it. It is tool to relax the mind so we can bypass our critical factor become consciously aware of all the thoughts and beliefs that are running our life, and then we can reprogram and insert new positive constructive ideas that are in line with helping us reach our goals. This is extremely important because our subconscious overrides everything. How does information even get into the subconscious mind? Information gets into our subconscious mind in a few different ways. One of the main ways information enters is through very emotionalized moments in our life Other ways include authority figures, peers, repetition and of course, hypnosis. But most programming running in our subconscious entered before the age of ten when our critical faculty didn't exist yet. Once these thoughts enter our subconscious mind, they will continue to run our life until they are changed in our subconscious mind. IT HAS BEEN SHOWN THAT HYPNOSIS ACCELERATES US TOWARDS OUR GOALS. PSYCHIATRISTS WHO UTILIZE HYPNOTHERAPY OFTEN REDUCE THEIR THERAPEUTIC PROCESS TO LESS THAN 1/8TH OF THE TIME FORMERLY NEEDED FOR SIMILAR RESULTS WITHOUT HYPNOTHERAPY! Almost everyone can be hypnotized save for a few exceptions. These exceptions are people with severe mental disabilities, people with very low IQ’s and very young children. In these cases it is actually because they may not be able to understand the words you are saying or focus their attention long enough to follow your instructions. Hypnosis is actually very similar to being in meditation or even daydreaming and that comes about by relaxation of the mind. If you are able to read a book and follow simple instructions you can be hypnotized. The only real requirement is your desire to be hypnotized. Hypnotherapy does not require more than a light trance state which everyone can easily achieve with training. On average it takes between four to six sessions per issue. Some people may gain their goals in one session and others may take more than six. One of the biggest key factors for this is how ready you are for the change. Sometimes there are layers of beliefs in our subconscious around one issue and many times just removing even one negative belief and replacing it with a positive one, creates a ripple effect that begins the healing process. I offer potential clients a free, introductory consultation where we can meet and talk about the issue in more detail and create a session plan that fits for you. Will I do anything against my will? Can I be controlled? No, you will not ever do anything you feel is unacceptable or against your nature. You are in complete control at all times. One of the questions I get asked the most is “Can I bring my husband/wife in and have you hypnotize them for me and tell them ______ “? And my answer is…NO! If hypnosis worked like that I’m pretty sure every marriage would already be perfect and learning hypnosis would actually be in the newlywed’s manual for "how to train your husband or wife”. The truth is all hypnosis is actually self-hypnosis. We go into hypnosis because of our willingness and desire to do so. If we did not want to, then we would not. In the hypnotic state we still hold our individuality, our ego if you will, and if something was suggested that wasn’t in alignment with our beliefs, we would either just reject it or come out of hypnosis completely. Am I going to tell all my deep dark secrets? Hypnosis is not a truth serum. If you wanted to you could lie or fabricate things. If there is something that you are protecting, then you will continue to do so even in hypnosis. The key thing here is “if you wanted to”. Generally is someone is booking a session then they are in a cooperative space and want to speak the truth in order to create the change they desire in their life. It is in your best interest to share information as it comes to you with your hypnotherapist in order to better assist the session toward reaching your goal. Will I remember what happened during my session? Yes, you will remember everything that takes place in your session. In fact, in hypnosis all of your senses become heightened and you are more aware of everything going on around you. The difference in this awareness is that you are in such a relaxed state that you choose not to react to any of it, even allowing the sounds to take you deeper into your trance state. This heightened awareness allows us to communicate easily with our subconscious through our imagination and feelings. If you happen to forget parts of your session, the post session talk will help trigger your memory with the rest. This occurs in a similar way to the recounting of a lecture or speech, we remember the key points that stood out to us first and then the rest comes back to us later in bits. Are audio CD's as effective as individual sessions? No, audio CD's and group sessions alone have a significantly lower success rate than a session with a hypnotherapist. The best use of audio cd’s is as an accelerator to use at home in between sessions to lock in the new habit into the subconscious. In general it takes approximately 30 to 60 days to replace an old habit with a new one.